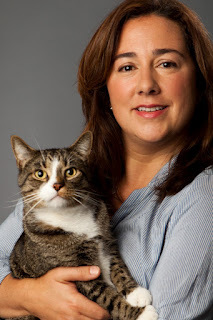 Maria Cristina ("Tina") Garcia leads the digital marketing and media team for Mars Petcare US. Garcia is a native of Bogota, Colombia and lives in Nashville. Garcia joined Mars' U.S. Petcare division in 2006, the same year it relocated to Middle Tennessee, and has held a variety of roles there including senior brand manager on PEDIGREE® Wet, Exclusive Brands Marketing (EB) director, and now Marketing Services lead. Prior to joining Petcare in 2006, Garcia spent nine years in a variety of brand management and marketing roles with Mars Chocolate, where she worked on TWIX®, SNICKERS®, and MILKY WAY®. Garcia also had a prominent role in the Ethnic Marketing group, leading the first efforts to target Hispanic consumers at the customer level and developing the first-ever Spanish language advertising on TWIX® and STARBURST®. Garcia received her undergraduate degree in Industrial Engineering from Universidad de Los Andes in Bogota. Tina currently lives in Nashville with her husband, daughter, and her cat Mittens and Moonie the fish. Tina is fluent in English and Spanish and enjoys golf, skiing, hiking, travel and cooking. Garcia is also involved in Pedigree® Adoption Day in Nashville this Saturday, September 29, from 10 a.m. to 3 p.m., at 75 Vaughn Rd. More than 100 dogs will be available for adoption from 14 animal rescue centers. Entertainment for families will include a visit from the Nashville Predators mascot, Gnash.